I made my interpretation of Fred and George Weasley's extendable ears device for Alexandra-the-Great for the "Favorite Movie in a Box" swap. 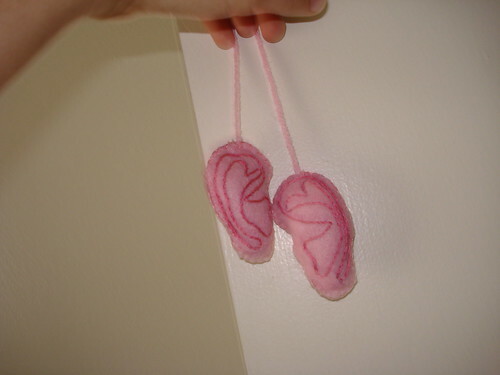 I basically just made felt ears, embroidered them, stuffed them, and put a piece of yarn to connect them. 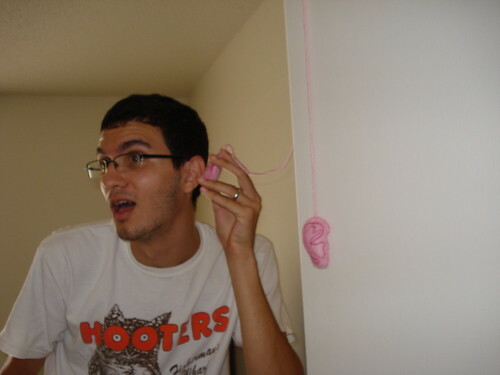 My husband, being sneaky with the extendable ears! Real Men Carry A Craft Bag! There are two things you should never be mad at: Those you can change and those you can not - Plato. Those rock so hard! My sons would kill for them! That rug really tied the room together. Ravenclaw Scarf Ornament - With Pattern!